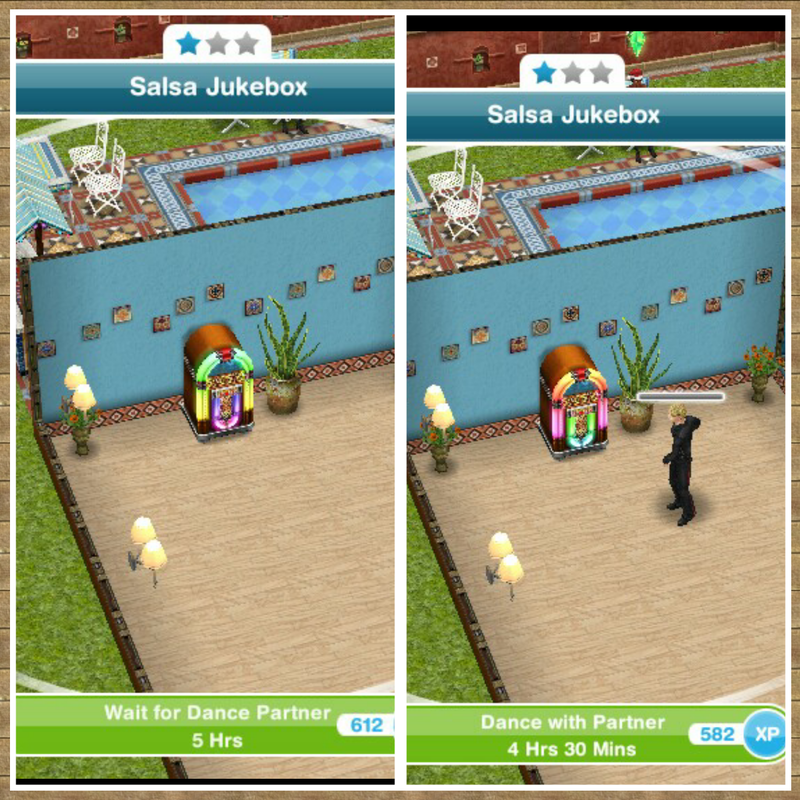 Not this quest but if you complete the salsa dancing hobby in the time limit you will unlock the villa. Can I use a baby to hibernate for this quest? I don’t know for this update unfortunately as they change it often to whether a baby hibernating completes this goal or not. When i click “cheer on” on the jukebox, blue footprints appear over my sims head, but there is nothing in the way. how do i fix this? Send the sim home then back to the park, use the car to go back to the villa, hopefully it will work this time! I can’t go back to the villa! The car is gone when my sims are at the park and not. My car (three star) can’t get there either. Are you on a goal in this quest which requires you to go to the villa? If not, you will not be able to get there. please help me, i haven’t done the mission a dance to remember. i want to finish the mission. can i back to the villa again? How to back the villa? 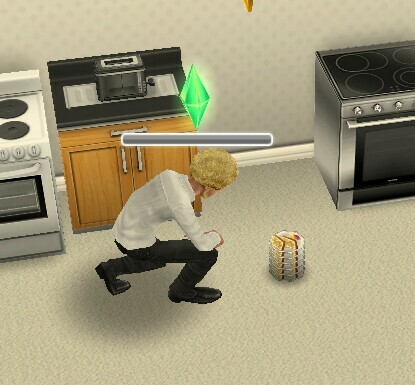 because one of my sims have a baby and i have the new mission with the nanny. but the nanny not respone if i haven’t done the mission a dance to remember. You need to use the car at the park to get back to the villa. 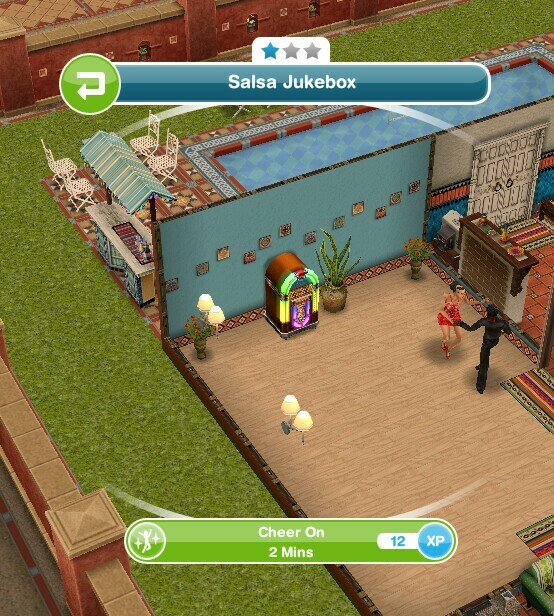 I can’t “cheer on” (with the salsa jukebox) because when I click on it it says it can’t get on it. Help? 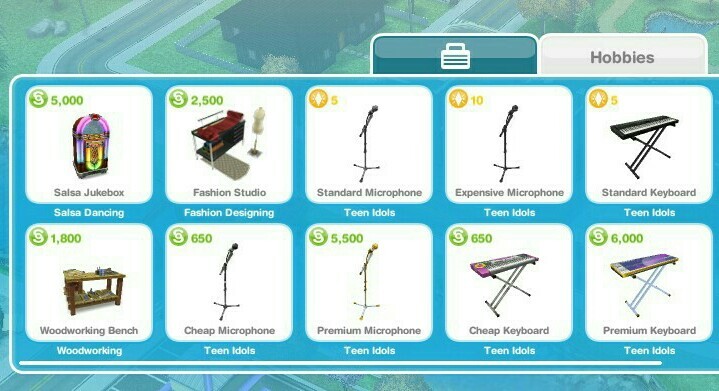 Send your sim home from the villa and back to the park then use the car again to get back to the villa, the dancers should appear and you should be able to complete these task. 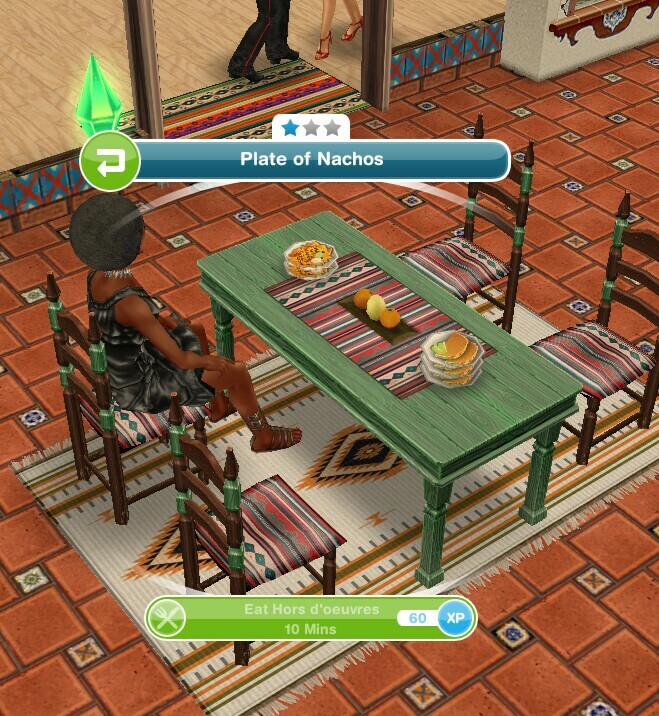 When I try to interact with the salsa dancers my sims refuse to respond and it won’t let me cheer them on. Have you tried what I have said in the post? 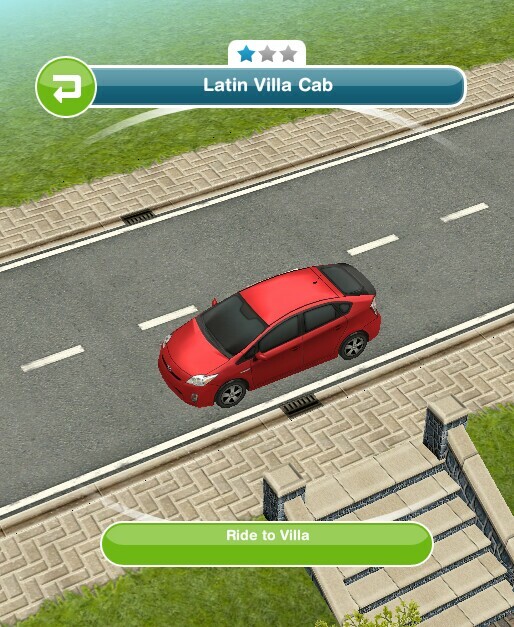 Send your sim home from the villa and back to the park then use the car again to get back to the villa, the dancers should appear and you should be able to complete this task. You cannot complete this in a neighbours town so it shouldn’t have let you, if you cannot find the dancing couple in your park then you will need to contact EA to see if they can fix this issue for you. I have completed the quest.and left the villa at the end, but my quest did not end .It still is showing leave the villa.I can’t find the red car at the park side road either.please help me. I don’t know how to bring my sims to the park. How can I start to watch the dancing couple at the park? 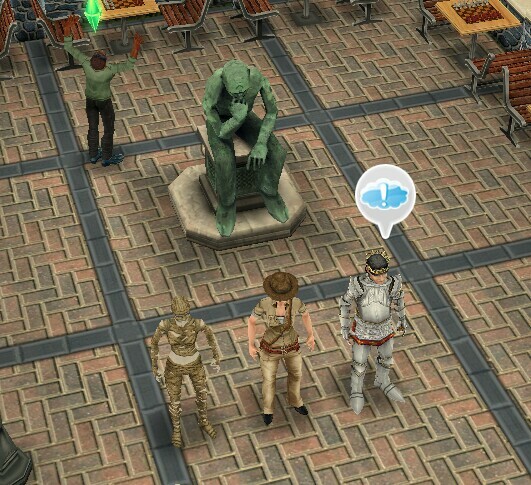 To bring a sim to the park you need to click on the whistle on the simtracker next to a sim who isn’t busy. It won’t let me build the health club because It says I need to complete the dance to remember quest first. I started the quest but didn’t finish it in time. What can I do? I really want the health club? You still need to complete the dance to remember quest even if you don’t finish it in the time limit before you can move onto another discovery quest. Complete the quest and then you will be able to build the health hub. Yes you can just use one more pair and it will complete. After we complete this quest, can we ever return to the villa again? I don’t have the pet store yet, will I still be able to rescue the kitten? You don’t need the pet store for this. I’m a newbie and currently at level 23. 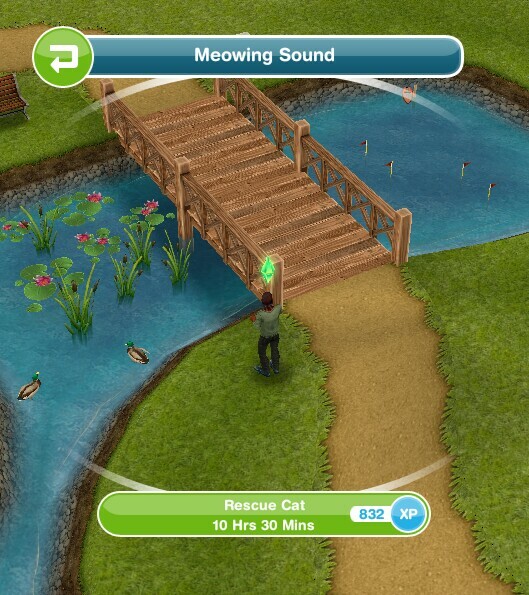 I made a mistake and just have a pair of sims chat amd i am so frustrated bcoz it took 10hrs30mins to complete and i didnt realize until they finished chatting. My question is, if I have to make a pair to chat again will it be added to the previous completed pair? Or worse i will have to do it all over again? Hi thank you for answering my previous question! I have another on though. What do you mean by this (it’s from the goals that can be started early)? Lets say you wanted to complete the grow pumpkins task, it takes a day so starting this early will save you a day in this quest. When you are on the task have two pairs of sims chatting you can have a sim go to a different house and start growing pumpkins, you need to stay away from that house until you get the goal to grow pumpkins. Once you get the goal go to that house and complete the task straight away, saving you 24 hours. How do you get 175 special points? Have you tried leaving the park, force closing the game and returning to the park?